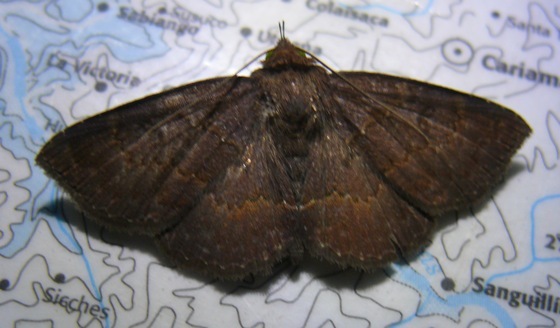 Most of the moths I saw were at Bellavista, in the cloud forest in western Ecuador, west of Quito. 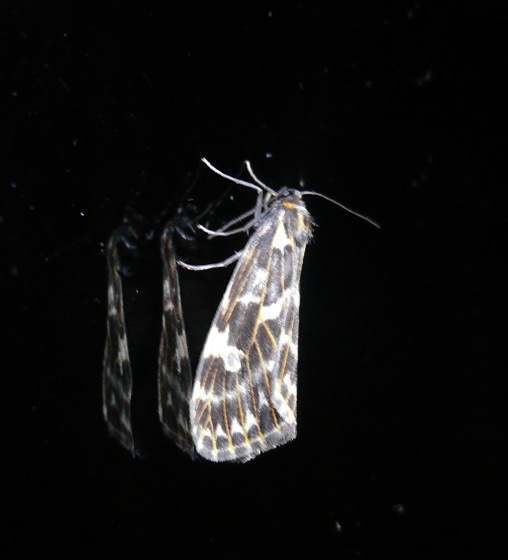 There are small lights, along the walkway between the buildings, which are left on all night. 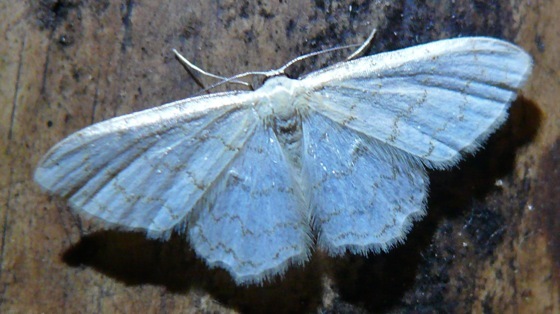 The lights attract numerous moths. 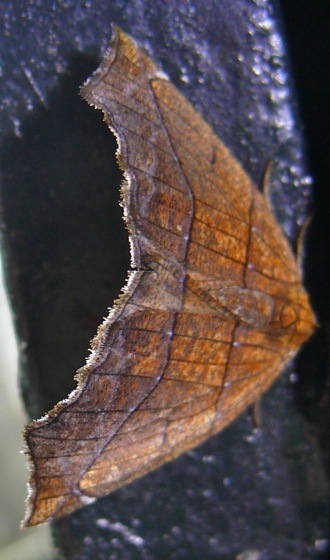 And the moths attract birds. 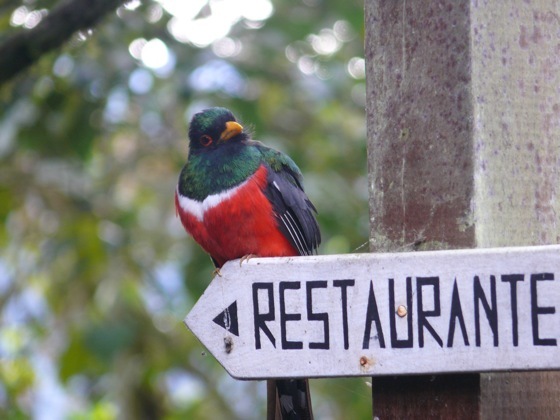 Several Masked Trogons show up every morning to polish off the moths that collect there during the night. 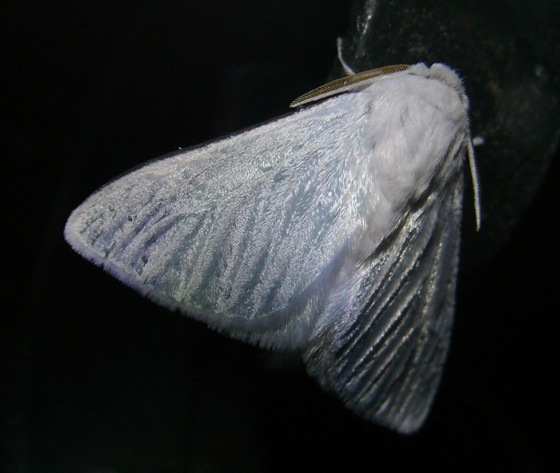 I took some photos at night, and then again in the morning – early – before the birds could eat all the moths. 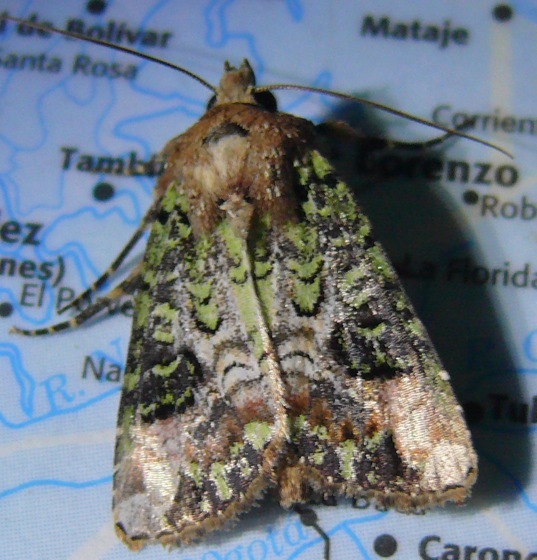 It’s very difficult to find information about South American moths. 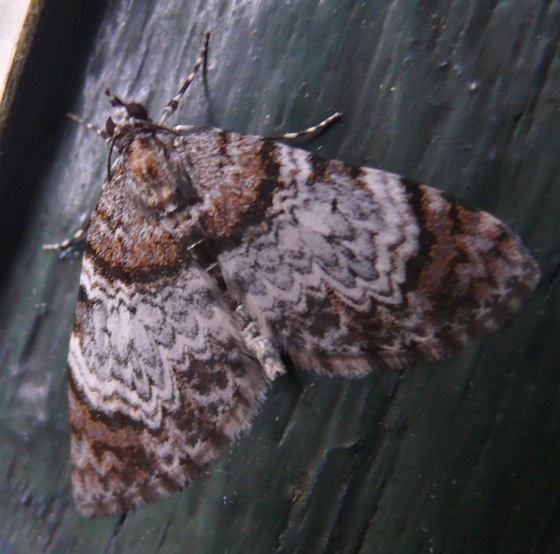 Some I have tentative IDs for, some I can ID to family. 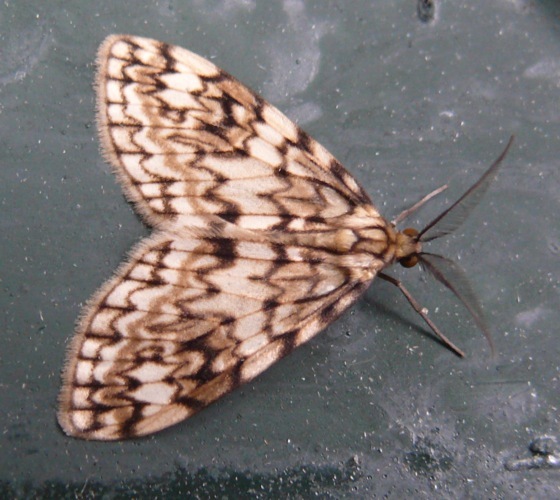 If anyone has ideas about better – or different – IDs, I’d love to know. 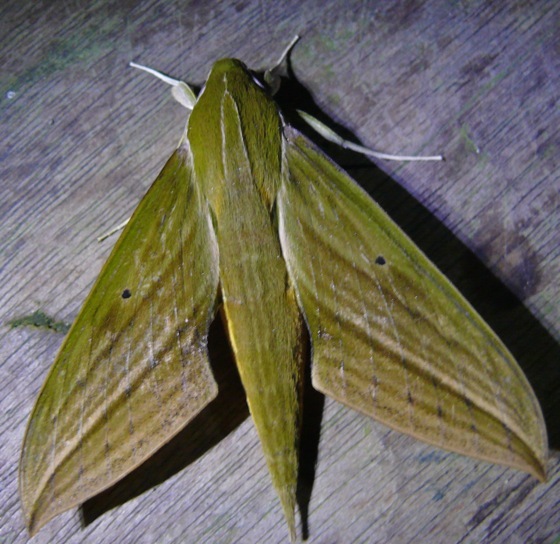 Sphinx Moth – Sphingidae family. 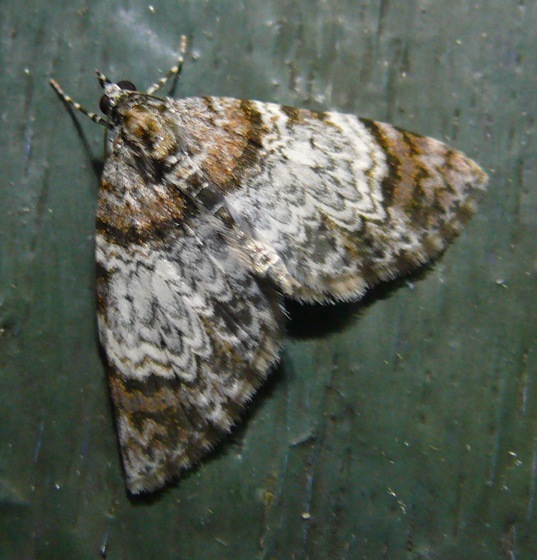 Bill Oehlke confirms that it’s a Xylophanes sp., possibly X. crotonis. 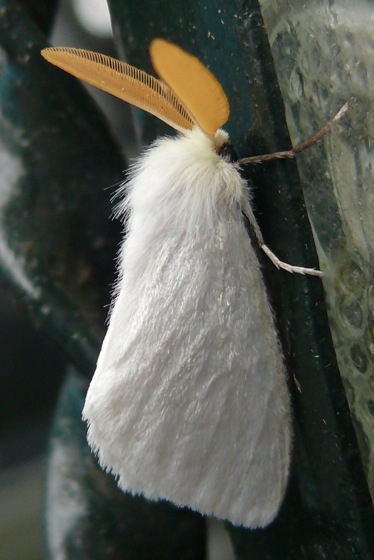 I’ve always wanted to see one of these moths. 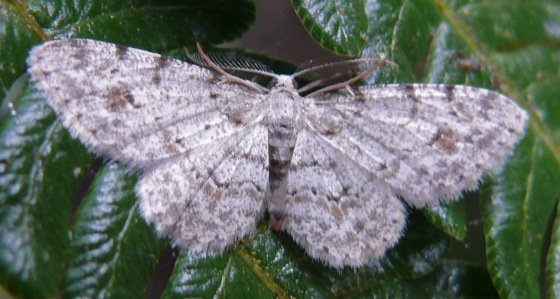 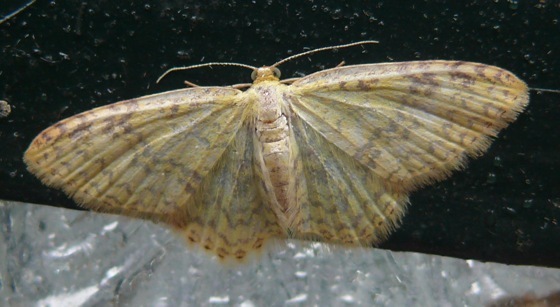 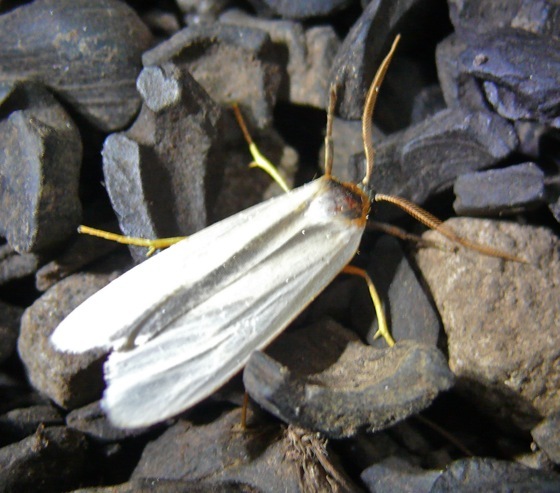 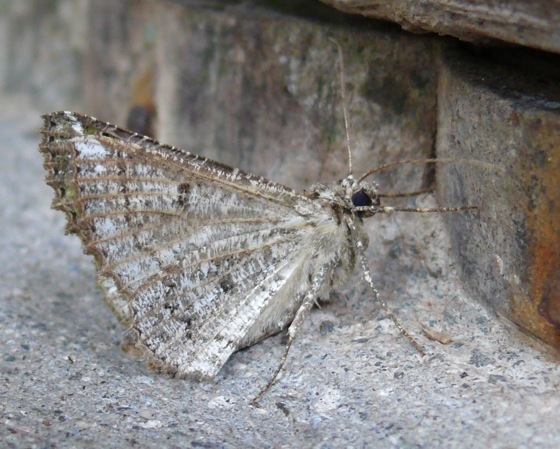 It’s in the family Alucitidae – Many-plume Moths. 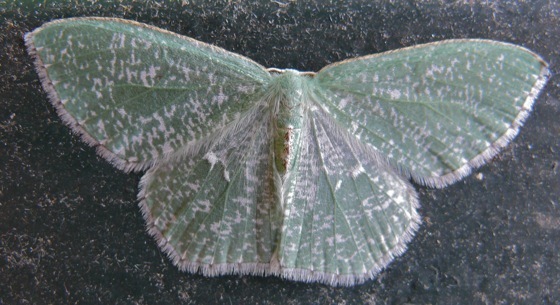 Each rib in its wings has tiny bristles that make it look like a bird’s feather. 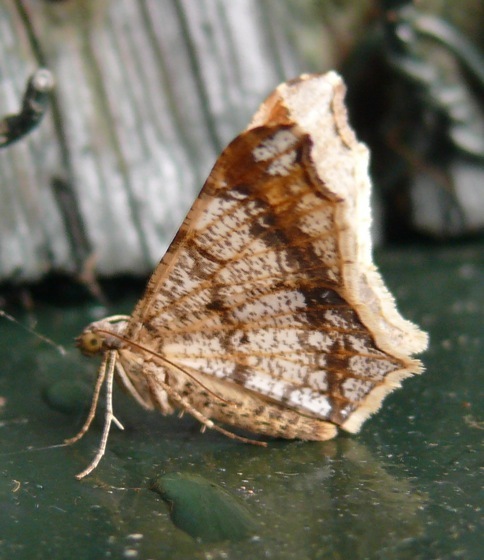 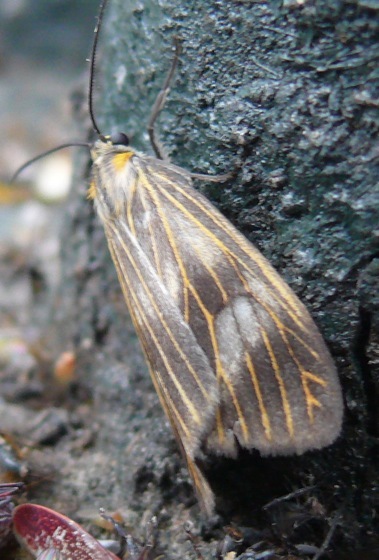 Arctiini – Tiger Moth? 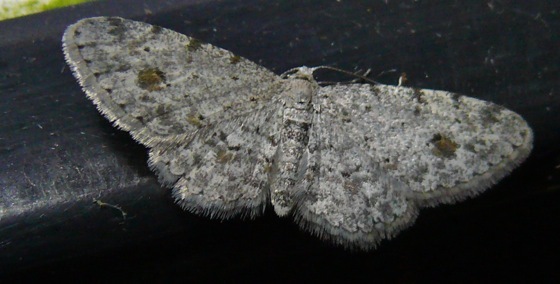 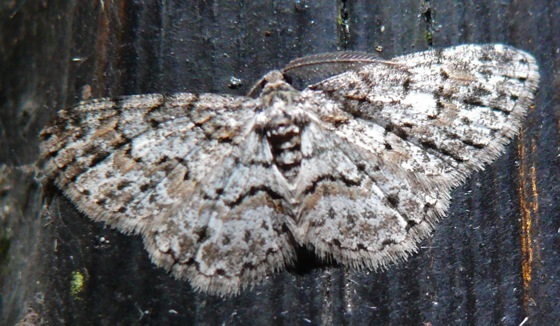 Amastus sp. 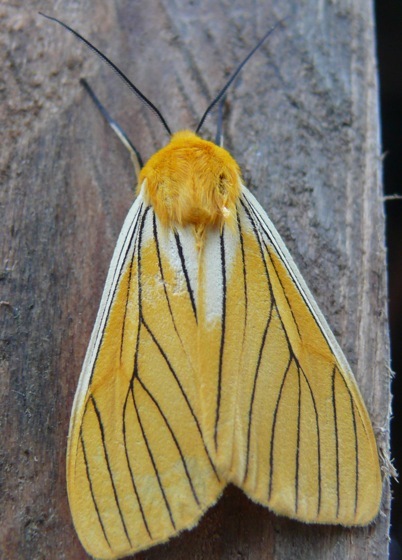 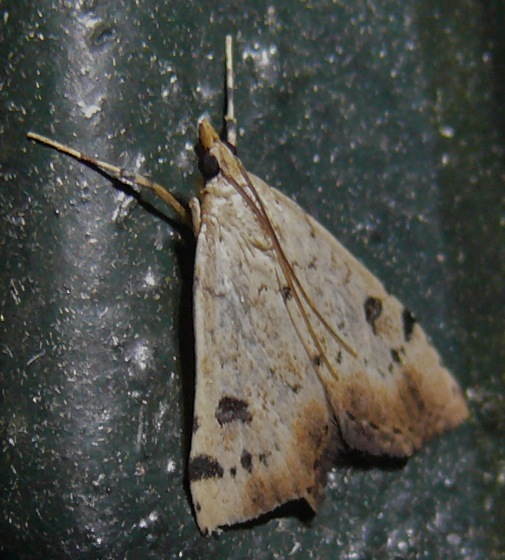 Tiger Moth – Pachydota sp. 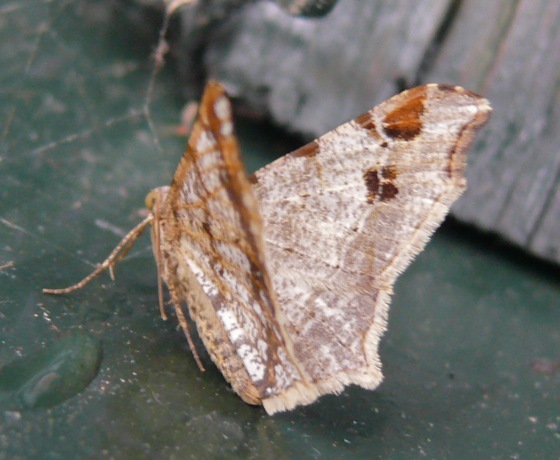 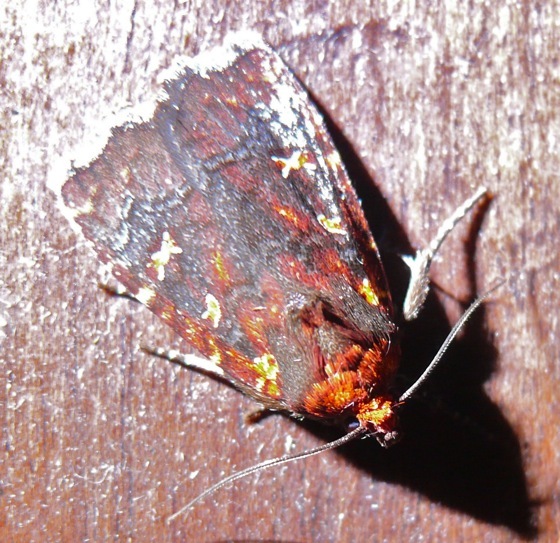 This is a very odd moth – I think in the family Dalceridae. 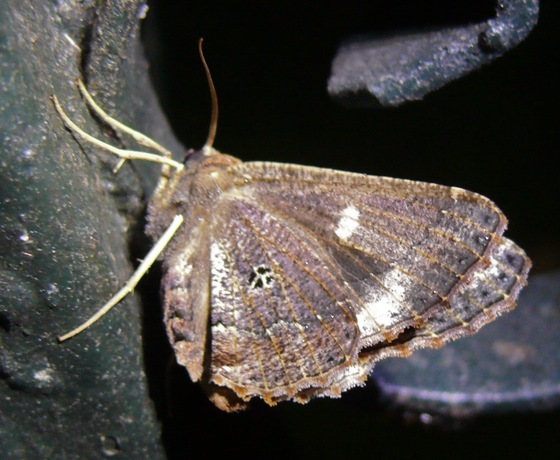 Family Apatelodidae – Quentalia sp.? 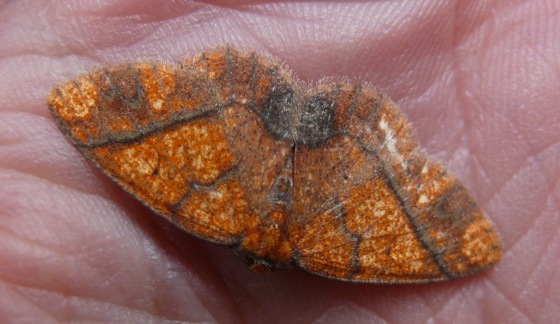 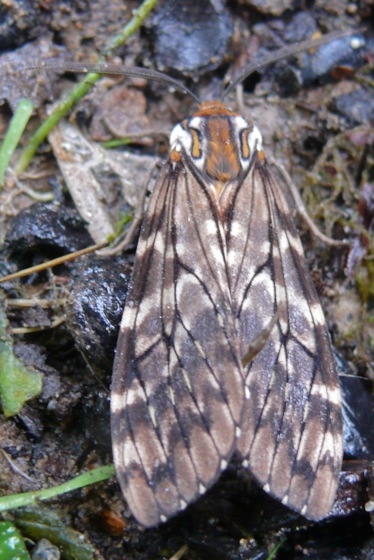 I saw this moth in a different part of Ecuador – near the Napo River, east of Quito. 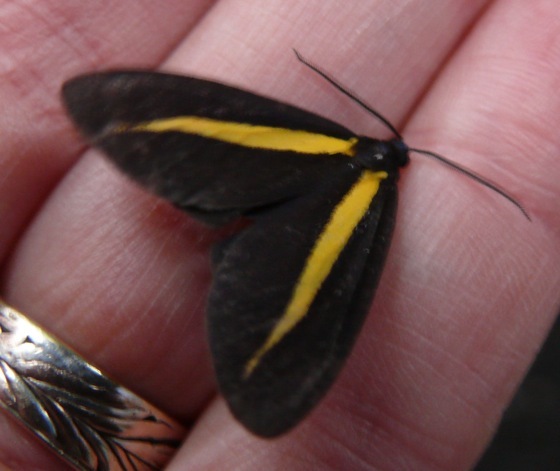 It was in the airport terminal in Coca, fluttering around, landing on the passengers. 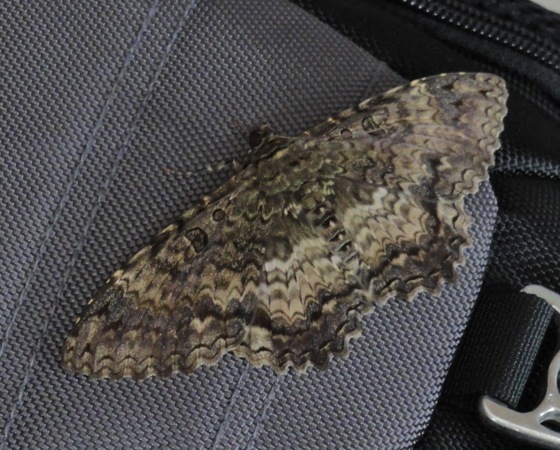 In this photo it was resting on my backpack. 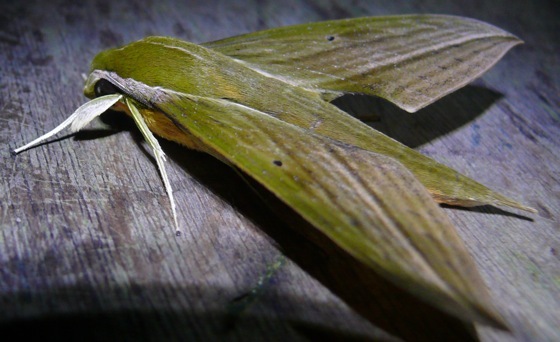 It was very large – it’s wingspan was wider than my spread hand. 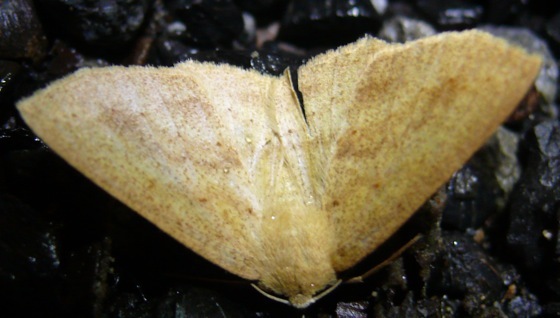 It’s a Letis sp. 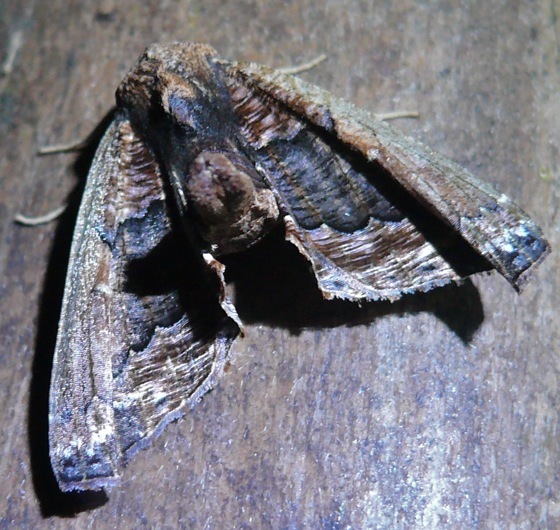 – in the Noctuidae. 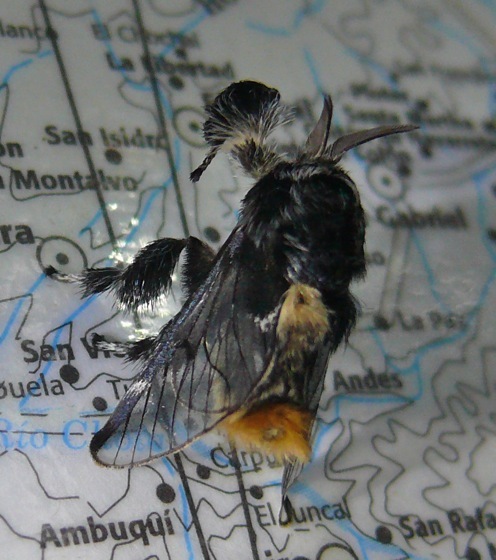 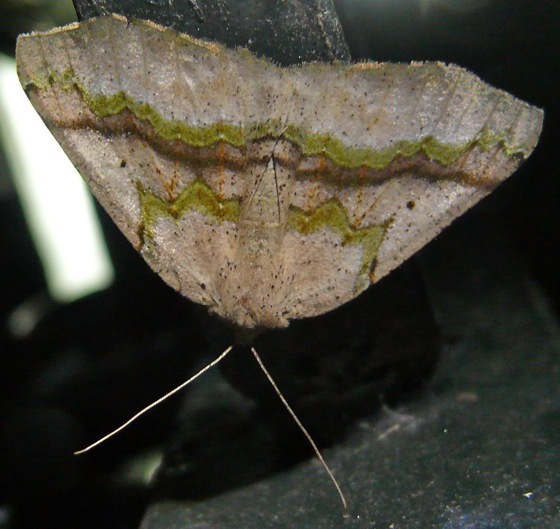 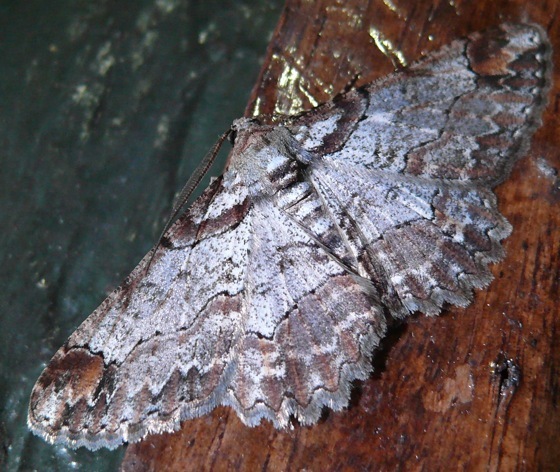 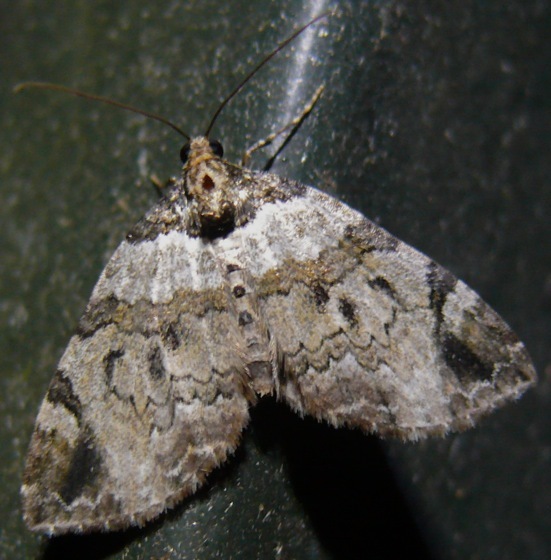 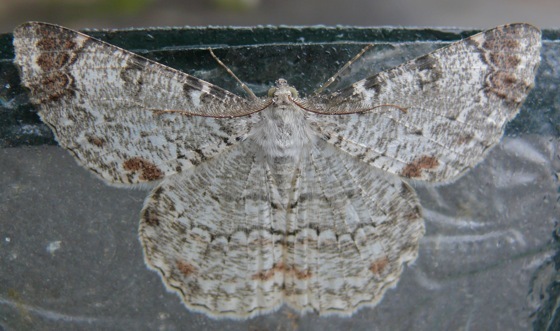 While I was researching these moths – trying to figure out IDs and information – I found places where other people have posted moth photos from Ecuador – some also from Bellavista, and some from nearby lodges. 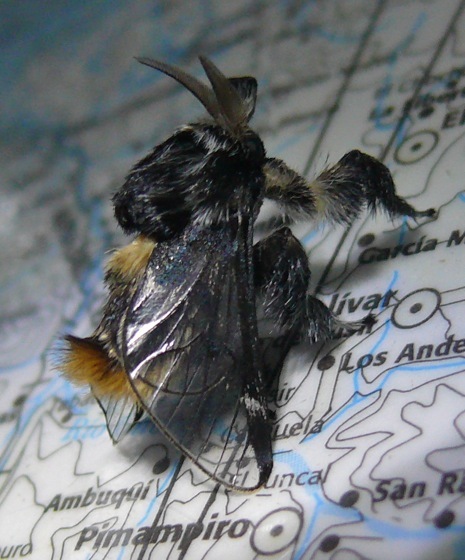 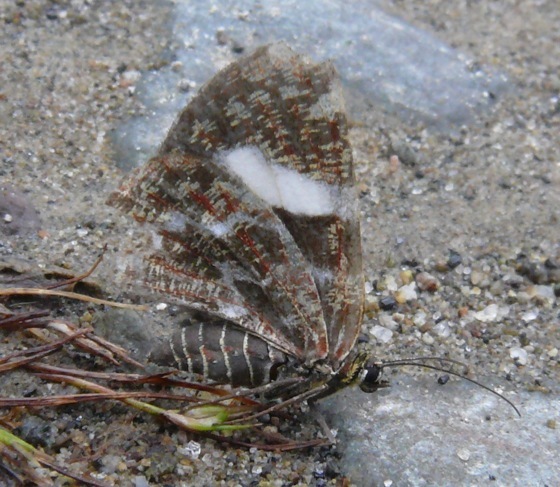 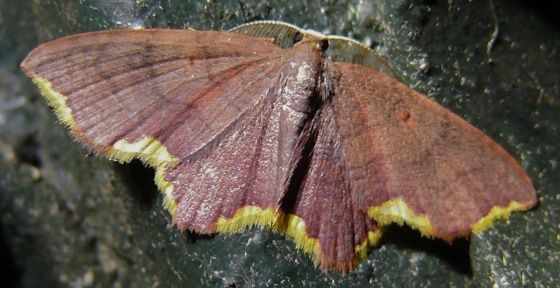 I also found sites which give information about the identities and habits of Ecuadorian moths – and butterflies. 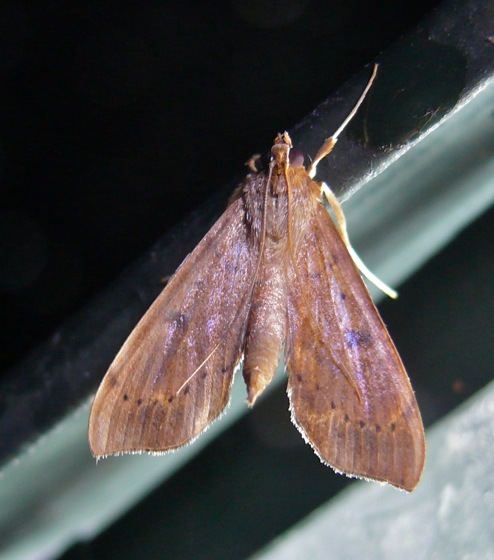 It was fun and helpful to find these sites so I thought I’d post links to them here.